Posted by Yilan in Bulgaria, Human rights abuses, Macedonia. Although one can certainly come up with several fold more reasons why Skopje and Sofia have not been able to normalize their relations, here are ten that come to mind right from the start. 1. Macedonians at home spent majority of their WW2 fighting against Bulgarian soldiers. Macedonian partisans engaged the Germans mostly in major battles outside of Macedonia, in other parts of the then Yugoslavia. 2. In 1913 Macedonia was split in 3 parts (Vardar, Pirin, Aegean). Due to the split, the remains of one of the greatest Macedonian revolutionaries Goce Delcev (died 1903) found itself on the ‘other’ side, in present Bulgaria. Official Sofia in 1946 sent Delcev’s remains to the rightful owners, the Government of Macedonia in Skopje. Today official Sofia claims him as “Bulgarian”. Why give him up if he is your own, and equally important, why claim him 60 years later? 3. Bulgaria while protecting their Jewish minority, was responsible for rounding up and sending to concentration camps the Jewish population from Macedonia and Thrace (present Greece). Macedonia lost 98% of its Jewish population. All of the gold, art and jewelry was stolen by Bulgarian soldiers and sent to Sofia. Just a fortnight ago (October 7th), Jewish leaders from Israel told the Bulgarian Government in Sofia that “saving your own Jews but murdering others still makes you a murderer”. There goes Sofia’s hope that everyone has amnesia. 4. Official Bulgarian census in 1946 listed 252,908 Macedonians living in Bulgaria. Official census in 1956 somehow listed less, 187,789 ethnic Macedonians, concentrated in the Pirin region. 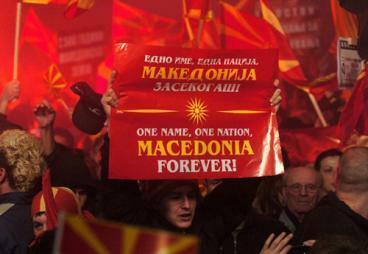 In 2011, official Sofia counted 1,600 Macedonians! For the next census, Sofia will follow Athens and claim it has no minorities. 5. When visiting Bulgaria, in particularly major holiday destinations , one is able to view dozens of TV channels from all of Bulgaria’s neighbors. The only channels missing (scrambled) are those from Macedonia. 6. Just like in Greece, Bulgaria too does not allow Macedonians to register a political party and take part in Parliament elections. The Macedonians have taken Bulgaria to Human Rights court in Strasbourg twice, won both times, but still cannot register their party. 7. Bulgaria first recognized Macedonia, at the same time did not recognize the language which automatically created tensions between the two countries. 8. 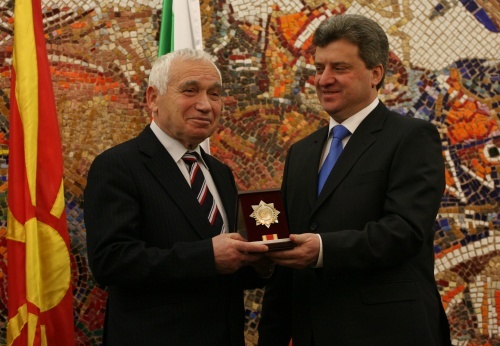 Bulgaria wanted to help Macedonia during the Greek embargo and opened its port in Burgas to Macedonian companies. 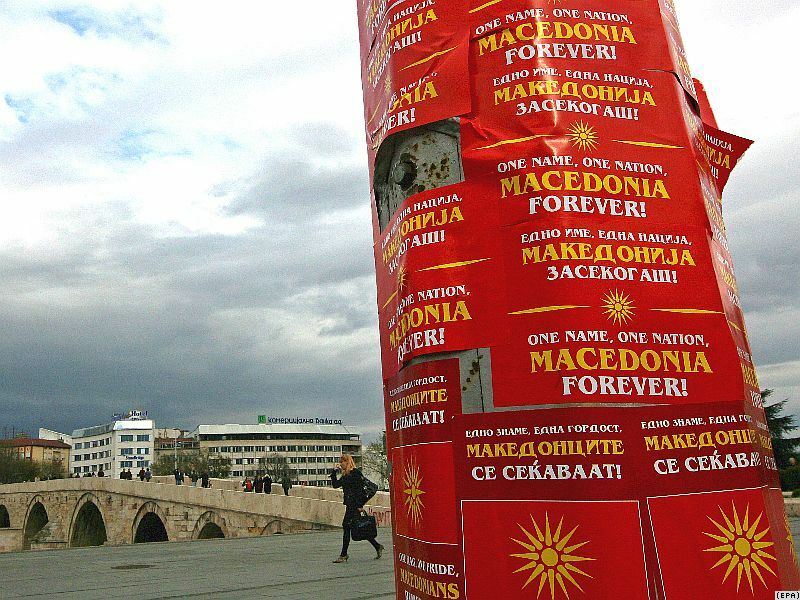 This nice gesture was conditioned – official Skopje must stop its communication with Macedonians in Bulgaria. 9. After 2000, Bulgaria decided to create a “minority” in Macedonia, Serbia, Moldavia (even Albania) by issuing passports and citizenships to Macedonians. According to Macedonians and Serbs who have received Bulgarian passports, the entire procedure was done in less than two months involving little to no documentation at all. 10. A typical court case of divorced parents seeking a custody of their daughter turned into a circus case because the mother (Spaska Mitrova) had recently received a Bulgarian passport. Mitrova’s new passport meant the bombastic arrival of two dozen journalists from Sofia at a small court house in Gevgelija to cover the case and cheer on Spaska Mitrova. Posted by Yilan in India, Macedonia. Republic of Macedonia, a fast-growing emerging economy in the southeastern part of Europe, is exploring opportunities to attract investments from India for power projects, and in sectors including real estate, agriculture, infrastructure, pharmaceuticals, IT and automotive, according to Zoran Stavreski, vice prime minister and minister of finance. The country, which has free-trade agreements to provide access to markets in 41 countries with over 650 million consumers, is looking at investments for two upcoming hydro power plants with a total capacity of 650-Mw involving an investment of euro 700 million. “Tenders for the two large power plants (on a build, operate and transfer basis) will be called for shortly,” he told Business Standard on the sidelines of an interactive session on ‘Emerging investment and trade opportunities in Macedonia’ organised by the Confederation of Indian Industry in Hyderabad on Monday. Stating that Macedonia is planning to completely liberalise its energy market by 2015, Stavreski said the country was looking at privatising up to 49% of its state electricity generation company for around $1.2 billion. Macedonia, which attracts anywhere between 4 and 8% foreign direct investment (FDI) of its gross domestic product (GDP) every year, will offer a single-window for administrative services, besides low real estate costs and utilities (10-15 euro per square metre in city centre and two to three euro in surroundings on long-term lease of up to 99 years), he said. The country’s Constitution guarantees fair treatment of foreign investors, allowing 100% foreign ownership of a company, Stavreski said, adding that they had initiated the procedure of signing a double-taxation treaty with India, which was likely to be closed by January 2013. “This is the second time that we are presenting opportunities for India this year, and over 20 companies from India have already visited us. While automotive components manufacturer Motherson had already purchased land in Macedonia, we are in active discussion with Indian car manufacturers to set up shop in the country. An Indian company’s investments in Macedonia will also be announced in the next two to three months,” he said. Greece has tabled a draft memorandum of understanding apparently aimed at seeking a solution to its long-standing name dispute with EU candidate Macedonia. But EU diplomats expressed disappointment at its content, which doesn’t appear to make new proposals. The draft memorandum, published Thursday (4 October) on the Greek foreign ministry website, repeats diplomatic language already used in bilateral documents, stressing that both sides would commit to respecting each other’s national sovereignty and territorial integrity, and renounce any present or future territorial claims. Finally, the draft says that the sides would “agree to give a fresh impetus” to the talks to solve the name dispute under the auspices of the UN – despite years of efforts by a UN mediator to find a solution. An EU diplomat said he saw “nothing new” in the Greek paper and that it was broadly seen as a “disappointment”. Greece and Macedonia have been locked in a dispute over the smaller country’s constitutional name since it became independent from the crumbling Yugoslavia in 1991. “Erga omnes” means using the name to be agreed in “relations with everyone,” thus rejecting the notion that a name “for internal use” could be kept. Speaking to the United Nations 67th General Assembly in New York last month, Greek Foreign Minister Dimitris Avramopoulos said Greece believed in a “fair settlement” resulting in a name with a “geographical qualifier” given that Macedonia is a geographical region that overlaps the territories of Greece, Bulgaria and the former Yugoslav republic. Diplomats have been speculating whether “Northern Macedonia” or “Upper Macedonia” could be acceptable to both sides. According to the Macedonian daily Dnevnik, the authorities in Skopje said they would respond positively to the Greek memorandum, but also give their own version. It remains unclear if Greece would lift its objection for Macedonia to start accession negotiations with the EU, in the case the memorandum is signed, even if the talks to find a mutually acceptable name still drag on. According to one EU diplomat, Greece may be tempted to unblock the accession talks with Macedonia, by signing the memorandum, just to “keep happy” its EU family. But he added that it was not in the interest of the Greek government to add to the public discontent with a compromise on the name issue, which would be seen by the country’s nationalists as an outrage. The timing of the memorandum apparently would help the European Commission to reaffirm Macedonia’s EU perspective. On 10 October the EU executive is due to publish its yearly reports on the progress – or lack of such – of the EU candidates and hopefuls: Iceland, Turkey, Macedonia, Croatia, Montenegro, Serbia, Albania, Bosnia and Herzegovina and Kosovo. The EU Commission issued a recommendation to start accession negotiations with Macedonia in December 2005. Since then, in the absence of the Greek veto – at least in theory – Macedonia could have wrapped up the negotiations. Croatia, another former Yugoslav republic, started accession negotiations in 2005, completed them in 2011 and is due to join the EU on 1 July 2013. All 12 new EU members from the 2004-2007 waves of enlargement were able to conclude accession negotiations in less than six years. Macedonian government should respond positively but also give its own proposals to the draft memorandum of understanding, presented yesterday by Greek Foreign Minister Dimitris Avramopoulos to his Macedonian counterpart Nikola Poposki. This is the position of diplomats and professors on the issue. The letter sent to Minister Poposki says that the memorandum should set a framework and the basic parameters of the name issue solution. Most of the proposals in the draft memorandum, as Dnevnik comments, repeat the Interim Agreement, while the new, and rather moot, point concerns Athens’ demand for the two countries to undertake the engagement to find a name with a geographic term for a broad use. The Greek foreign minister comments further that Poposki may address the Greek representation to Skopje, the Greek foreign ministry and name dispute negotiator Adamandios Vasilakis. Spokesperson of the Macedonian government, Alexandar Georgiev, on the other hand, said yesterday that Avramopoulos’ letter will be examined carefully and serious consideration. With the draft paper the Greek government wants the two countries to agree on the inviolability of the borders, respect the territorial integrity of the other country, refrain from propaganda and statements, which could violate the negotiations, including the use of symbols, which are part of the cultural heritage of the two countries. “We confirm that neither of the countries will back claims on any of the territories of the other or demand change of the borders,” the document reads. One of the points in the documents envisages an agreement for speeding up the negotiations under the auspices of the UN, under Resolution 845, with the purpose to reach agreement on the differences, provided under Resolution 817. With regard to this Avramopoulos proposes the two countries to reach an agreement on overall respect of the principles of good neighbourly relations and on non-interference in the home affairs of the other country under no circumstances. The last point, which is unacceptable for Macedonia, is that the framework within which the name issue should be solved should be within the Greek red lines. “There is a need to continue the process within the agreed framework of the basic parameters for the name issue solution, which will also include an agreement that any solution to the dispute will have a clear notion about the name and will not give chances for ambiguities around distinguishing the territory of the Former Yugoslavian Republic of Macedonia and the regions of the neighbouring countries, especially the North Greece region and that the agreement will be for a broad use (erga omnes),” the paper says. According to President of the 62nd session of the United Nations General Assembly H.E. Dr. Srgjan Kerim, there is an obvious stirring up in the name issue talks, which is felt after the visit of UN Secretary General Ban Ki-moon to Macedonia. According to him, there is no reason for the Macedonian government not to respond positively to Greece’s proposal. “Our country should consider the draft memorandum a good will for negotiations,” Kerim said. According to Vladimir Ortakovski, professor in international law, the texts concerning the inviolability of the borders and the respect to the sovereignty are indisputable, since they are provided in the interim agreement, too. “We should reply that we do not accept any framework except for the one set by the UN Security Council. We cannot allow the outlining of possible solution,” Ortakovski remarked. According to him, the memorandum is Athens’ response to the initiative for good neighbourly relations, proposed by Macedonia. “Greece showed that it does not want to be in passive position. Thus, our diplomacy should analyse the proposal and then respond with a counter offer,” Ortakovski commented further. Professor Stevo Pendarovski, who considers the text of the draft resolution good, also thinks that there is a need to pay attention to the part, which concerns the set framework for the agreement. Bosko Stankovski, PhD(c) of International Law with the Cambridge University, said that there were certain points, which need to be paid attention to. “There are two things that impressed me. First of all, the language used in the memorandum shows that Greece is trying to update the name dispute as an issue connected to the security and the basic condition for our European-Atlantic integration. This is not just by chance, since nowadays no one believes that the name affects the security. Secondly, Greece wants to set the stretch within which the name will be used before reaching a final solution,” Stankovski remarked. Diplomats, who preferred to stay anonymous, commented that if the memorandum was expanded with one more point – that the two countries undertake the engagement to observe the interim agreement, could help Macedonia get a date for starting the EU accession talks. Professor Ortakovski said that the interim agreement will be in force even after Athens and Skopje sign a memorandum of understanding. According to some, there is no difference between the memorandum of understanding and the agreement on good neighborly relations.